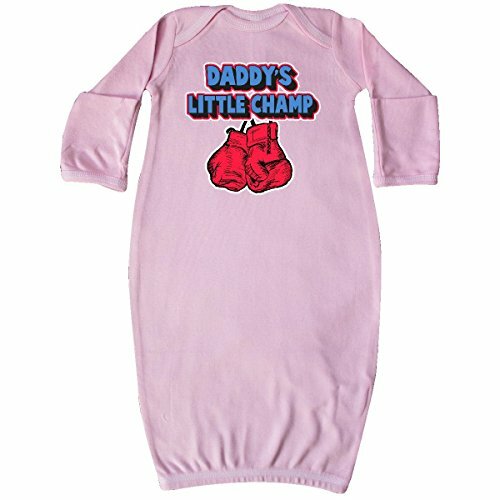 Daddys Little Champ Newborn Layette with boxing gloves are an adorable way to dress up your little champ for Fathers Day. These one piece layettes feature lap shoulders to make it easier for the many times a day that parents have to change baby’s outfit. You’ll love this super soft one piece 100% cotton gown for newborns, complete with mitten cuffs for extra protection.